Convert your roof space into a proper storage area. If your house is crying out for more storage and you just can't find the space, then an attic conversion is exactly what you need. We have several options when it comes to attic storage depending on your requirements and budget: Basic, Dustproof and Deluxe. 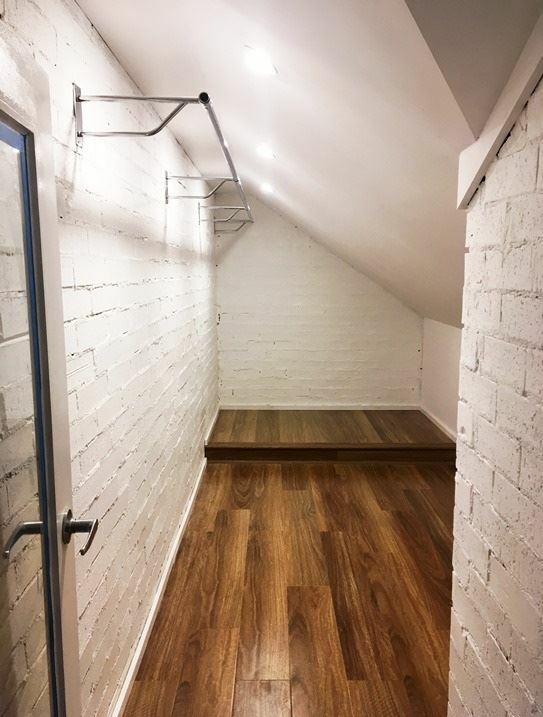 Suitable for most roof types, basic storage will consist of a pull down attic ladder and approximately 20 square meters of structural chipboard flooring. Basic storage attics are perfect for storing the bulky item such as Christmas trees, bulky suitcases and storage boxes. Council approval isn't necessary so the process is quick and easy. The basic storage option is a quick and cost effective fix to all your storage problems! Prices start from $2,500 depending on project specifications. If you are wanting to store items of value or just want to keep your items in tip top shape then the dust proof storage option is the way to go. This option is definitely more suited to an older style cut roof as the dust proof membrane will fix to the under side of the rafters and be fully sealed. With a pull down ladder and around 20 to 25 square meters of structural chipboard flooring, this option will give you ample space to store those items you might otherwise have had to put into paid storage. We can customize a dustproof storage solution to suit your needs with options like lighting, whirlybirds and skylights. No council approvals are needed for Dustproof Storage Attics and our qualified tradespeople can complete this option in 3 days. Prices start from $5,000 depending on project specifications. This option is suited to terrace houses, Californian bungalows or larger free standing homes with structural internal framing. This space can be used as an office, a study or just that extra little cosy hideaway. With lighting, insulation, plaster and paint this option creates a room where you never thought possible. The addition of VELUX skylights and roof windows for light and ventilation helps control the climate. They can be operated manually, solar or mains power. A Deluxe Storage Attic will definitely add value to your home! A site inspection is required to determine if council approval is required for this option. Prices for Deluxe Storage Attics start from $30,000 depending on project specifications. We work efficiently! With quick turnaround times our qualified tradesman can be in and out in 3 days for basic storage and 4 days for dust proof storage, our deluxe storage option will take 3- 4 weeks to completion. No fuss or mess! Generally we can enter your roof from the exterior meaning the disturbance to you and your family is minimal and we guarantee the site will be left spotlessly clean. If you need to de-clutter and add value to your home then a storage attic is the perfect solution. Get in touch with us today to organise a free site consultation!